All art is about story. The Mona Lisa? There's a mystery in her smile. Michelangelo's David? He's standing there with his sling, ready to slay Goliath, fearless and determined. Art evokes emotion. Art puts ideas into the viewer's head. Quilting may not have the status of painting or sculpture, but it is still art. Even the humblest of quilts tell their own stories. Certainly, quilts began as something primarily utilitarian, merely a means of warmth. But over the centuries, quilters have elevated that means of warmth to an art form. Even those basic utilitarian quilts tell a story of their own. Why did the quilter choose this material over that one? Was it all she had available? Was it longer lasting or more economical? What appealed to him about the pattern or the layout? What sort of personality did the quilter have? Reserved? Traditional? Iconoclastic? Meticulous? Whimsical? For my favorite team: The Dallas Stars! 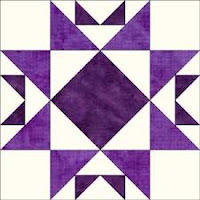 But, beyond those quilts that served as warmth and love for the quilter and his or her family, there are quilts that deliberately tell a story. 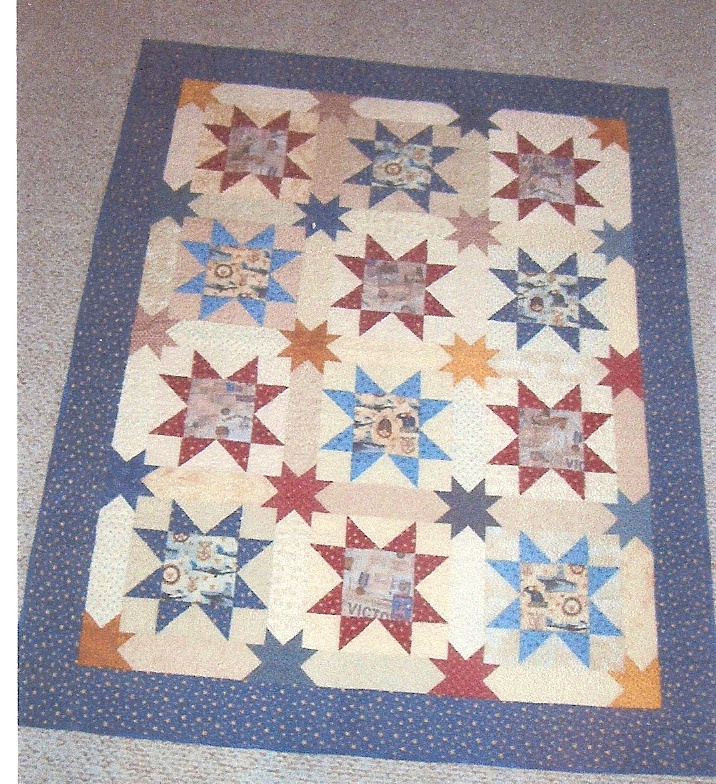 Quilters often design their projects to tell about someone's life, a special anniversary or birthday or other memorable event, a hobby, a cause, or a political point of view. 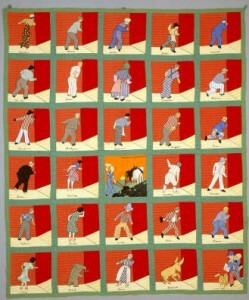 One of my favorite "political" quilts is Fannie B. Shaw's Depression Era quilt, "Prosperity is Just Around the Corner." When asked about it, she said, "Every time you picked up the paper or heard the radio, (President Hoover) would talk about the good times just around the corner. He would make it sound so good. I wondered if I could make a picture of what he was saying and what he meant. I couldn't get it off my mind." The quilt shows people from all walks of life (even the Donkey and Elephant from the major political parties) peering around the corner, looking for those good times. And in the middle is the farmer (Mr. Shaw) working hard to keep feeding the nation. Now that's a story quilt! Back in the days of the pioneers, when going west meant it would be a long time (if ever!) before loved ones were reunited, friendship quilts were popular. Quilters made blocks with space for signatures and quotes to be inked or embroidered on them to remind the recipient of the family, congregation or town he left behind. Similarly, the fabrics used in a quilt could tell a story in themselves, especially for immigrants from Europe and beyond. "This was your great aunt's dress. Your cousin's shirt. Your grandmother's wedding gown." And, with those fabric reminders, the story of that great aunt or cousin or grandmother could be recounted and passed down. And, of course, quilt blocks themselves can tell a story. There are many based on Bible stories, like Garden of Eden, Crown of Thorns, Jacob's Ladder, Job's Tears, or Joseph's Coat. No doubt, little girls being taught to quilt were also taught the stories behind those block names. And later, when they wrapped their own children in the quilts they made, they would tell those stories again and again. So next time you look at a quilt, ask yourself, "What story does this quilt tell? What ideas does it put into my head?" The answers might surprise you! Of course, we are here to celebrate the release of a story about quilt (which no doubt has a story of its own! ): Jennifer ALlee's A Wild Goose Chase Christmas, the latest from Abingdon Press's Quilts of Love line. Congratulations, Jen! Are you a quilter? 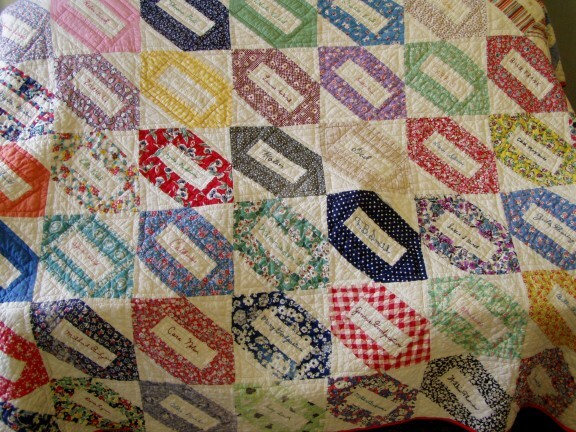 Or do you have any old family quilts? What stories do your quilts tell? DeAnna Julie Dodson has always been an avid reader and a lover of storytelling, whether on the page, the screen or the stage. This, along with her keen interest in history and her Christian faith, shows in her tales of love, forgiveness and triumph over adversity. She is the author of In Honor Bound, By Love Redeemed and To Grace Surrendered, a trilogy of medieval romances, as well as Letters in the Attic and The Key in the Attic, contemporary mysteries. Her new series of Drew Farthering Mysteries will debut in the Summer of 2013 with Rules of Murder from Bethany House. A fifth-generation Texan, she makes her home north of Dallas with three spoiled cats. The quilts are beautiful, DeAnna. I am really excited to read Jen's book. I tried to make a quilt once and didn't get very far. You need a certain kind of patience and an artist's eye. I lack both. Not long ago, a man was in a restaurant showing some elderly ladies a "retirement" quilt his wife had made him. It had pieces from his childhood baseball uniform, boy scout uniform, world's greatest dad t-shirt, etc, and different things to represent different phases of their life together. It was pretty special. I thought it was quite unique. i wish i was a quilter. i've received two quilts, both from Grandmothers. there wasn't necessarily any story with either of them, just a warm blanket to keep me warm and wrapped in family love as i went off to college ("just"...heh). i have a couple of friends who quilt, and they always use fabric that has some meaning. i really enjoyed seeing the quilts in this post. i enjoy learning about things like this. I am a quilt 'appreicator'. I started one as a teen, and another when I was in my ??? twenties? I have them both waiting for me. If I wasn't writing, I'd probably work on a quilt! I love going to quilt displays and dreaming of the ones I want to try. I own an antique crazy quilt - velvets and silks. It's in a carefully kept bag but I'm hoping to figure out a way to put it on display. Perhaps something like a framed wall hanging? DeAnna took this post just as I'd hoped because she is our resident quilt expert. Jen??? I'd say you learned a lot about them during this project! DeAnna, I love this post! The "Just Around the Corner" quilt is amazing. So much detail, and the poignancy of Mr. Shaw toiling away in the middle. My greatgrandmother and mother were quilters. When I was younger, Mom made me one of those quilts that has pieces of old clothes in them. It was the Grandma's Flower Garden pattern. I've still got it, although it's pretty well-used now. Suzie -- The retirement quilt sounds great. Definitely a story quilt! DebH -- I'm so glad you liked the post. I bet your "just quilts" have stories, too. Jen -- Oh, how wonderful that you have quilts passed down to you. All the many, many quilts my grandmother made were loved to death long ago. And, yes, DEB! 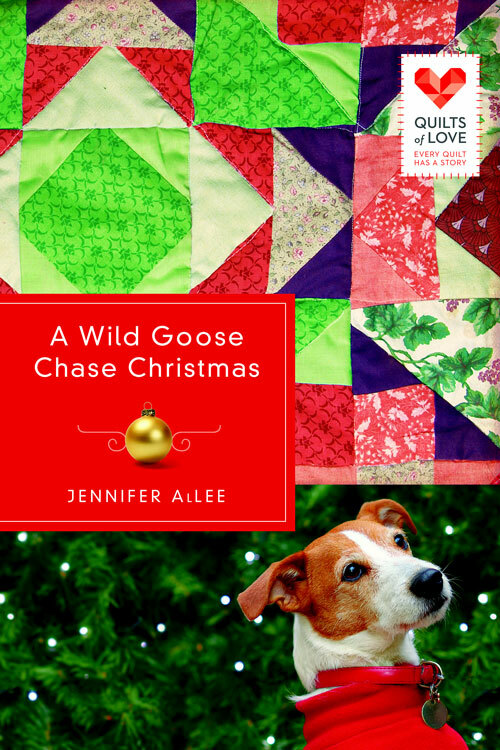 We need pics of your crazy quilt! Wonderful post, DeAnna. I love it, and the photos are amazing. Gorgeous. I have never tried quilting, but I have kept special articles of my kids' clothing to make into memory quilts someday: school t-shirts, princess pajamas, etc. Stuff that's too worn to be used by someone else, but has usable patches that will remind us of old times. Jen, congratulations on the release of your book. DeAnna, cool pictures. Did you make some of the quilts? I'm afraid I pretty much limit my sewing to replacing buttons and a few simple tasks like that. I'm not a quilter. I get frustrated and impatient with any type of needlework. Susie -- Don't be afraid to try quilting. It's mostly just straightforward sewing, following a pattern like you follow a recipe. You really should do those memory quilts. You'll be glad you did! Dina -- Sewing does take some patience. I also cross stitch, and that's VERY detail oriented. Sigh, y'all are making me want to go sew now instead of doing edits! 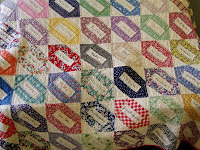 I have a few quilts from my great-grandmother as well. They still get regular use too, especially this time of year when we want to cuddle on the couch. And count me in with Jen, that Prosperity around the corner is Ah-mazing! Isn't that one cool, Lisa? My dad had six sisters, so any of my grandmother's quilts that survived her went to them and are long gone. Sigh. I wish I could have at least seen some of them. 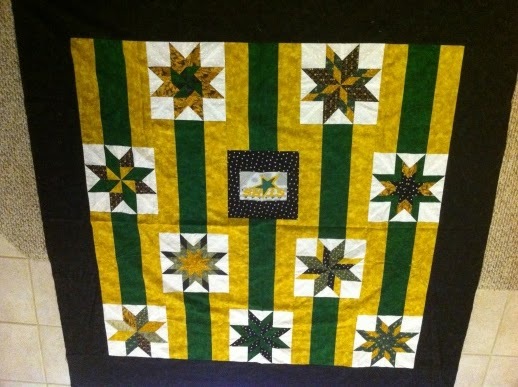 She passed away when I was eight, so I don't remember seeing any of her quilts. I'm sure I didn't appreciate them if I did. I'm a step below an amateur quilter. My first quilt was a wall hanging that was only there to support the major counted cross-stitch centre block. My 2nd quilt is still waiting for me to finish. I started it for Jessica twenty yrs ago, but stopped when she came early and never went back to finish it. It is an appliqued farm scene. 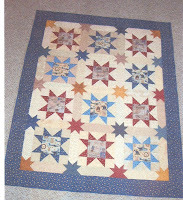 And then I completed a 12" quilt block and submitted it in the Russell Fair back in the late 80's. Amazingly it took 1st place but I've never attempted to make more blocks because it was one of those challenges I'd set for myself... I wanted to see if I could do it, but I'd use poly-cotton because I loved the fabric pattern and so didn't have the proper fabric to complete it. Nor the time. Jennifer AlLee. Book Release Party! Interview and Book Release Party--Dina Sleiman! Impressed by Love: By Our Own Lisa Richardson! Welcome Guest Blogger Jon Wakefield!